IPC is a provider of Internet data center services, dedicated Internet connectivity, network security, and enterprise cloud services that help clients reduce the cost and effort of doing "IT" themselves. As the country's first and only Salesforce.com Silver Consulting Partner providing Salesforce CRM licenses and consulting services to businesses and also the country's premier Google for Work Partner, IPC has an ISO 9001:2015 Quality Management Systems and ISO 27001:2013 Information Security Management Systems certification, ensured high-quality on-time service delivery, best practices, and a personalized "boutique" approach to clients. They also offer its own suite of cost-efficient cloud services ranging from Infrastructure-as-a-Service (IaaS) to Software-as-a-Service (SaaS) through its web portal cloud.com.ph powered by a robust cloud platform hosted in its own Internet data center. As far as connectivity is concerned, the IPC network peers with all major domestic telcos and Internet exchanges in the region such as HKIX (Hong Kong Internet Exchange) and Equinix IX, two of Asia's largest global telecommunications hubs. These qualities make IPC the preferred choice by companies in the country. 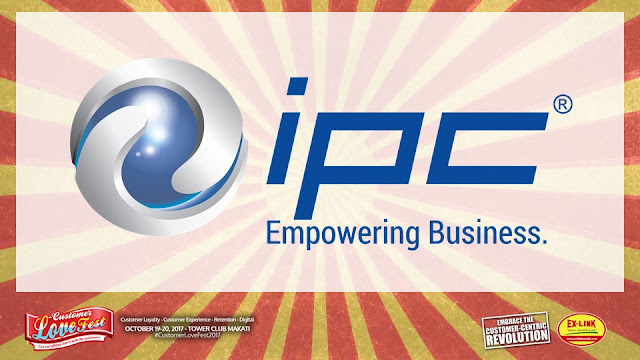 Thank you to IPC for sponsoring the 6th Customer Lovefest at the Tower Club Makati held last October 19 and 20. For more information on the Customer Lovefest, visit our website, http://www.customerlovefest.com or call Ex-Link at (02) 633-0153, 643-3887, 535-1150, SMS 0920-981-4376 or 0920-924-2532 or email info@exlinkevents.com.